There was nothing to suggest it would be anything other than a routine delivery. Four people thrown together by chance, sailing a newly-built catamaran from South Africa to Miami. But while they were away, something happened, something none of them could ever have imagined. When they get back to civilisation, they find it no longer exists. The land is no longer safe. Their only option is to stay on the boat and try to survive. Join Bill, Rob, Jon and CJ as they travel around their frightening new world. One where they must struggle against the infected that now rule the land, the elements and each other. Colin M. Drysdale is a marine biologist and author. Under his real name, he has published numerous academic papers and articles, as well as writing a number of technical books. However, when writing fiction, he has chosen to write under the pseudonym Colin M. Drysdale to distinguish between these two very different areas of his written work. His first novel, 'For Those In Peril On The Sea', was published by Pictish Beast Publications in the UK in January 2013, and internationally in March of the same year. This book was selected as one of only five finalists in the ForeWord Firsts winter 2013 competition for debut novels. In 'For Those In Peril On The Sea', Colin M. Drysdale draws on many of his experiences working on and around the sea to tell the story of four strangers thrown together by chance on a yacht when civilisation is brought to a sudden and unexpected end. Face with a new world where it is no longer safe to go ashore, they must work together to find a way to survive everything it has to throw at them. 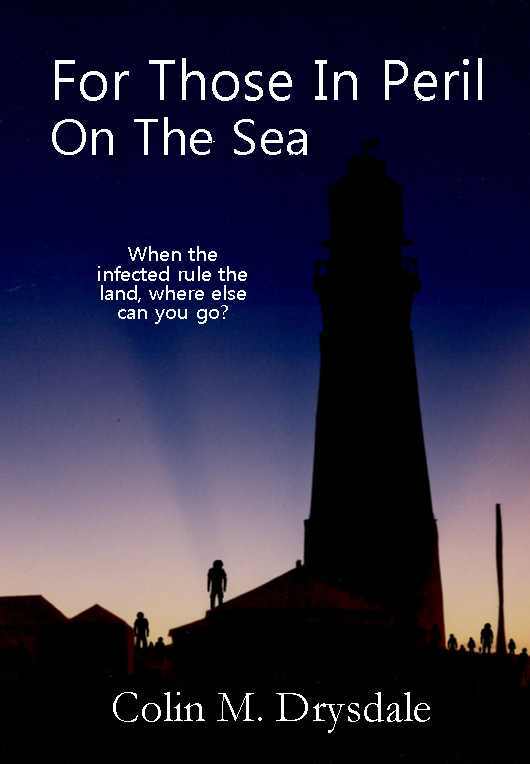 While he still works as a marine biologist, he is currently writing a sequel that is set in the same world as 'For Those In Peril On The Sea', but that will introduce his readers to a new cast of characters. Connect & Socialize with Colin!